We decided to take full advantage of all that southern Florida has to offer, so yesterday’s family fun was a trip to the Everglades for an airboat tour and some gator hunting. Then, it was out to the beach for a bike ride and some Mexican food. a. They know that despite any kind of threat, you can’t really do sh*t to them, so they sit there and look you square in the eye until you give up and drive away. b. They can outrun you. You can't tell, but this guy and I were about 2 feet from each other! wild and unpredictable." 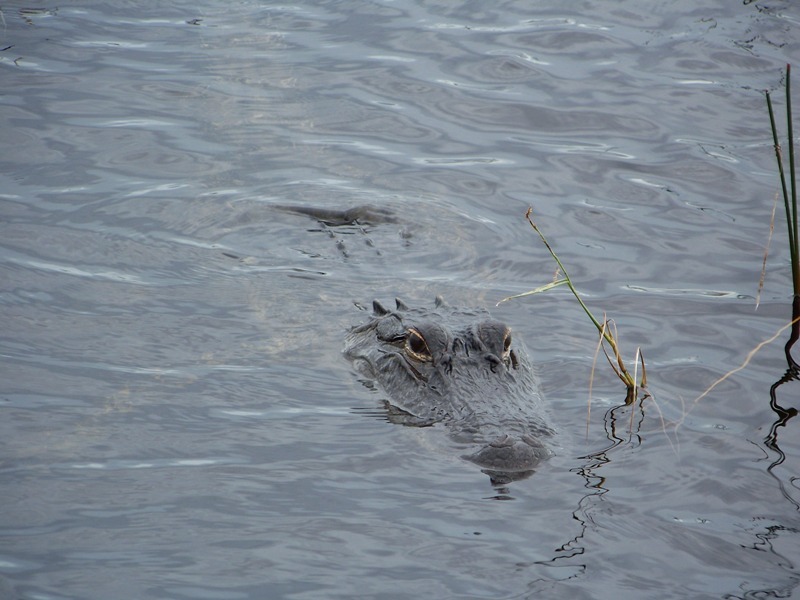 That's a wild gator to the right. and the Id is ready to rassle her some gators!!!! 2) There’s a reason you don’t go to the beaches in Florida for Mexican food. There’s not enough Dox Equis in Florida to make the food at Mamacitas in Hollywood Beach taste good. It probably should have been a clue that it wasn’t going to be great when my sister-in-law went to sit down and found pigeon sh*t on her seat. The day before, however, we had a great meal at a place next door to Mamacitas called Jake’s on the Beach. Not quite the same as Jakes in Del Mar, but the pulled pork sandwich and lobster tacos were fantastic! 3) If you are under 70 and cannot rollerblade, you may not live in South Florida. As we rode three wheeled bikes down Hollywood Beach I began to notice that you couldn’t go more than 4 minutes without seeing a man in his 70’s, shirtless, on roller blades. I won’t give details on what the bikini clad old women looked like, but let’s just say shoe leather that has had a hard life and leave it at that! The Id biking down the beach. She's waaaaay too young to be out there! 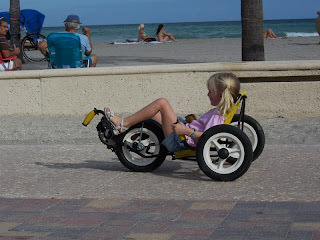 1) Visit Hollywood Beach and eat at Jake's by the Beach.2) DO NOT eat at Mamacitas.3) Rent three-wheeled bikes. They take some getting used to, but even a 5 year old can do it. 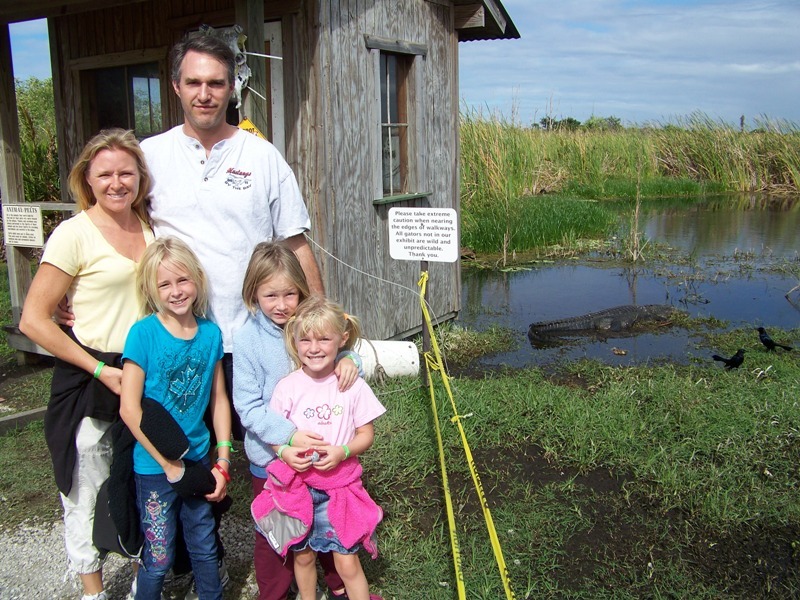 4) Visit the Sawgrass Recreation Park. 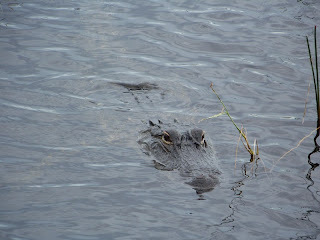 We saw gators, panthers, buzzards, foxes, a peacock and so much more. It was a great time. We arrived home moments ago, and the house that’s been spotless for two weeks looks like a Florida Hurricane hit it. D@mnit, why is it that I can’t just put up the “Cruisin’, service needed” sign on the front door and a magic elf will come and clean up our mess! I'd love some more of the nightly chocolates on the bed along with the towel animals. Whew, did we get spoiled on that ship!!! !